We can’t emphasise enough how much FATE’s sponsorship scheme is changing lives for the better. Before securing sponsorship, many of the children we support were shy, withdrawn and didn’t dare to think about their options for the future. As time goes on, we are able to watch as these children progress steadily at school, integrate and form friendships with children from different backgrounds, gain confidence, and begin to grow into young adults filled with hope and ambition. Below are some of the stories behind just some of the children we sponsor. To protect their identities, we have changed their names. You too can be part of something amazing. Contact us now for more information on becoming one of our wonderful sponsors. Ruth is from a family of three sisters all of whom are now residents of the Wema Centre. They lost their father and were left in the care of their single mother who sells vegetables at the road side for a meagre living. Ruth was often left alone all day without food. She was found in ill health by a Wema social worker and brought to the Wema Centre in April 2004. 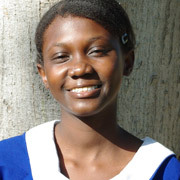 Ruth has grown into a helpful and sociable girl, and an enthusiastic student. She is always willing to help out and puts 100% into her schoolwork. Judith became an orphan when her mother died in 2003. She was left in the care of her elderly grandmother and also lived with three uncles who were suspected of criminal undertakings. At the age of 7, she used to wash people’s clothes to earn a living. Her grandmother was very worried about Judith’s future in view of her age and lack of access to education and a safe environment. During a visit to their house, it was discovered that one of Judith’s uncle was bed-ridden and HIV positive. Her grandmother was the sole breadwinner, relying on the small income she could make from a tenant and collecting discarded vegetables at the market. 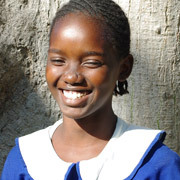 Wema Centre took responsibility for Judith in 2008 and she has been doing really well in school since FATE took on her sponsorship early in 2009. Esther arrived at the Wema Centre in 2001. Previously, she was living with her mother and step-father in a mud house with no basic sanitation facilities, and often a shortage of food. Her mother used to beat and mistreat her, before she was rescued by Wema. 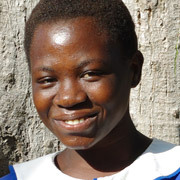 Esther has been doing extremely well in school and dreams of becoming an air hostess or international designer! Ben’s parents separated when he was very young. He was left in the care of his grandmother who used to sell homebrewed alcohol. Ben was not sent to school and was left to fend for himself when his grandmother could no longer afford to take care of him. He turned to begging until he was rescued by Wema in 2008, aged 9. 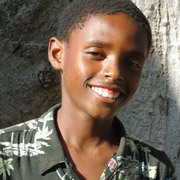 FATE began sponsoring Ben in 2009 and in 2010 he moved ‘up country’ to be closer to his grandparents. We found a great school for him there and he has now settled in and is doing really well.